To figure out how much water you should be sipping, you need to calculate how much you lose from sweating. ARRMS recommends weighing yourself naked, going for a one-hour session in the conditions and at the pace you expect to race, and then stripping down, toweling off, and stepping on the scale again. The difference in ounces is the amount of water you should be consuming DURING a run. 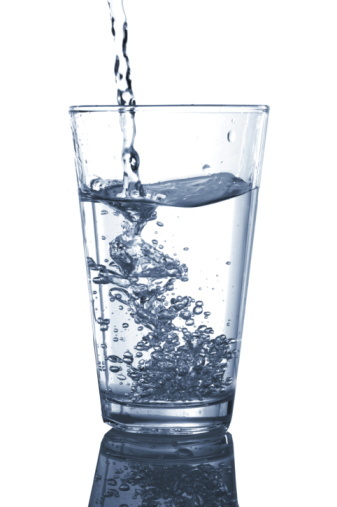 For example, if you’ve lost 12 ounces, you should be guzzling 4 ounces of water every 20 minutes. Drink too little and you risk dehydration, too much and you could end up flooding your body. I don’t have a scale at home, so I haven’t been able to crunch my numbers yet, but I’m planning to hit a gym soon. I carry a water bottle with me on runs longer than an hour, and typically take a swig when I’m thirsty, so this might change how I approach hydration on race day. Count Down To The Boston Marathon: 18 Days! Do you drink during workouts?